It was about time I made a new postcard. I’ve been using the same postcard for promotions and as my business card for the last five years. It was very popular but I’ve also made a lot of new work since then. 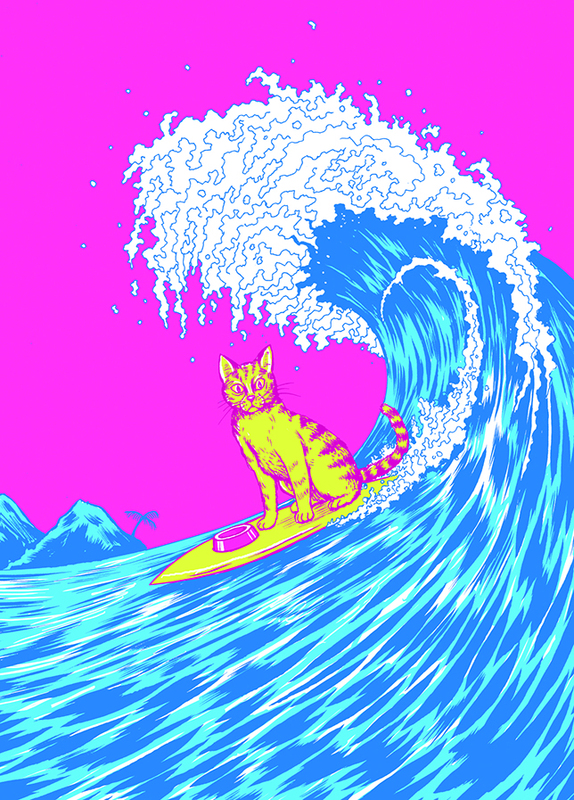 So, introducing the Surf Kitty & Pups Postcard! 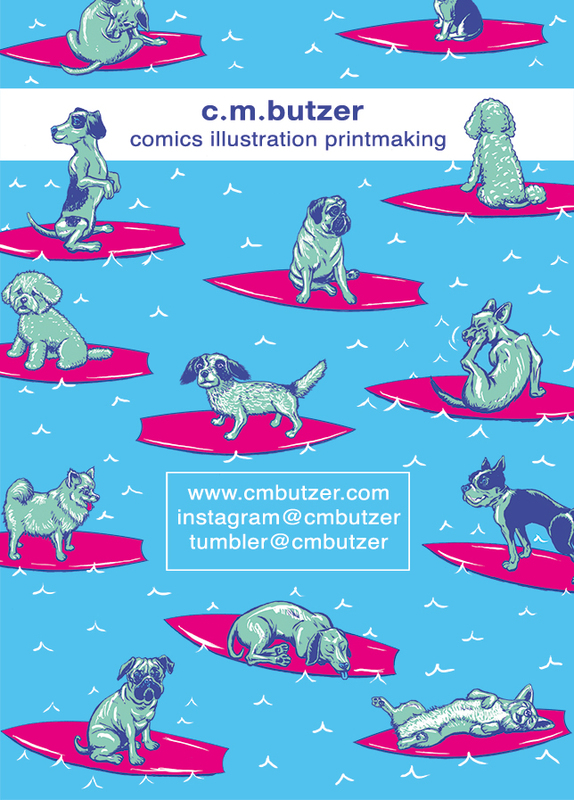 I just placed my order at MOO printing so they’ll also be fancy. 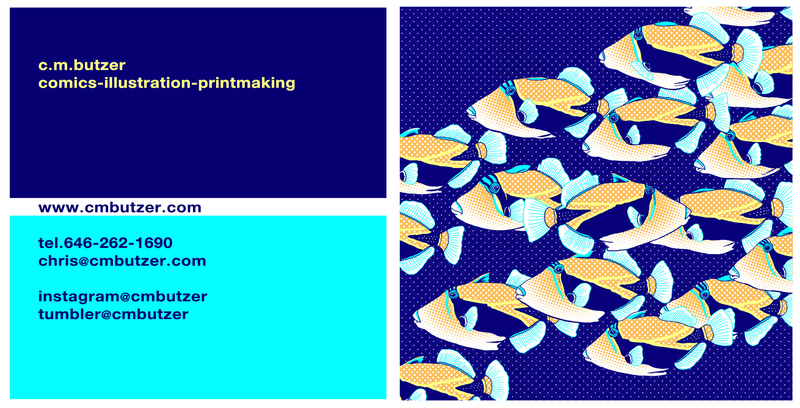 I’ve also made a business card. I find designing them a pain, such a small surface that I often go overboard and it looks like a design mess. Not this time. Kept it graphic and simple.